Group A was made up of TU Dublin City Campus, TU Dublin Tallaght Campus and Dundalk IT. 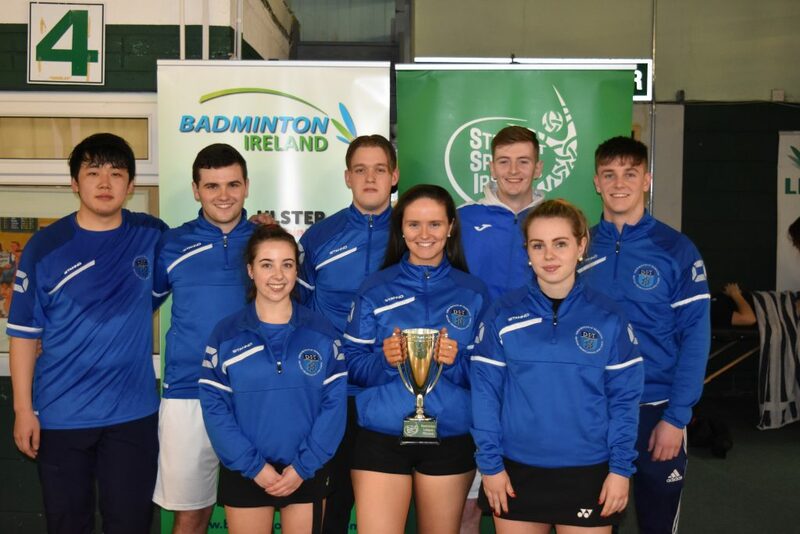 A superb first round game saw TU Dublin City Campus claim bragging rights over the TU Dublin Tallaght side on a 4-1 score line over the five matches of Men’s and Women’s Singles, Men’s and Women’s Doubles and Women’s Doubles. TU Dublin City Campus secured their spot in the final as they defeated Dundalk IT on a similar 4-1 score as the team made up of Ray Ma, Ellie Power, Rachael Darragh, David Barton, Oisin Dwyer, Laura Kinnerk and Mark Gannon finished top of group A. TU Dublin Tallaght finished in second with a 3-2 win over Dundalk IT, a result which saw TU Dublin Tallaght qualify for the 3rd-4th place play off and saw Dundalk it qualify for the 5th-6th place play off. Group B had a starting list of Dublin City University, IT Carlow and Cork IT. It was to be the side from the rebel county that would qualify for the final as Cork IT defeated both DCU and IT Carlow 3-2. The Cork IT team included Andrew Dunlea, Aisling McAllister, James Lester, Claire Cahill and Cathal O’Donoghue. DCU finished second in the group and made it into the 3rd-4th place play off while IT Carlow moved to the 5th- 6th place play off. Final – TU Dublin City Campus put in a dominant display in the cup final as they defeat Cork IT on a 3-0 score line. Ray Ma was a 22-20, 16-21, 21-17 winner over Andrew Dunlea in the Men’s Singles. The Women’s Singles saw Rachael Darragh defeat Aisling McAllister 21-7, 21-6, and the result was put to rest in the Mixed Doubles game as Laura Kinnerk and Mark Gannon powered to a 21-14, 21-11 win over Cathal O’Donoghue and Claire Cahill.